How to Choose and Environmental Consulting Firm? 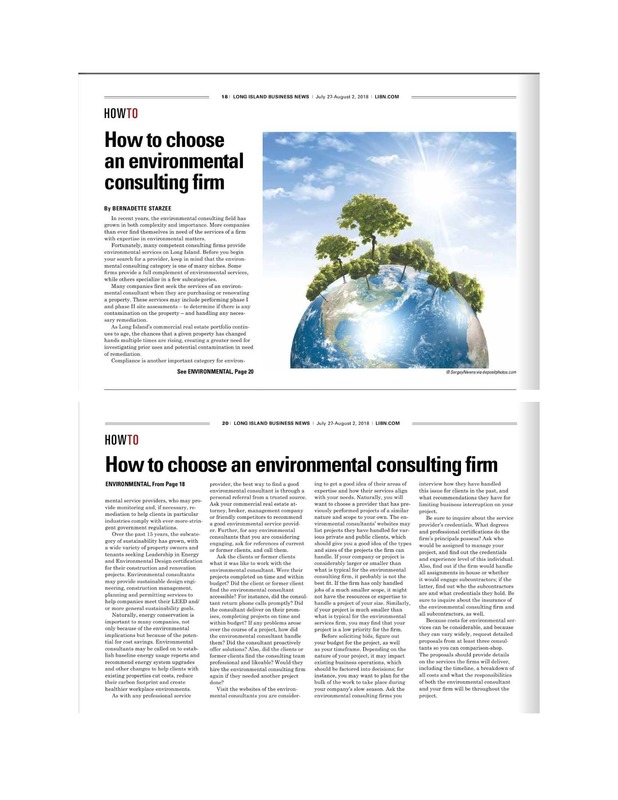 This week the Long Island Business News featured an article “How to Choose an Environmental Consulting Firm” For many of the considerations for choosing a firm, Impact has a clear advantage. We have 6 credentialed professionals signing off on all our projects both big and small. Impact can and does handle the majority of the work in house, rarely engaging subcontractors. We’ve got you covered with the broadest coverage commercially available at $23MM. With three decades of experience our reputation comes with great client referrals and experienced professionals.